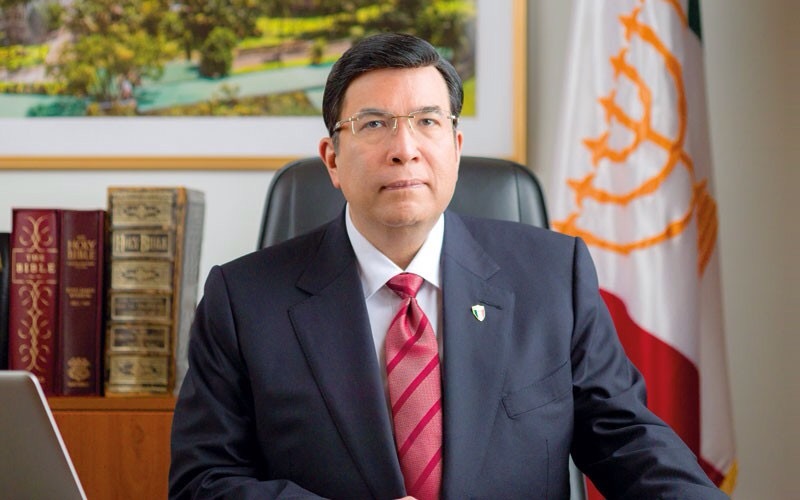 I am respectfully addressing this letter to you as a fellow Filipino citizen and because you are the Iglesia ni Cristo’s executive minister, an honored and responsible position you have held since Sept. 7, 2009. On Aug. 28, INC members blocked or took over portions of EDSA in a mass demonstration that defies explanation and which paralyzed Metro Manila’s main avenue. The demonstration at EDSA-Shaw continues today, Aug. 29. On Aug. 27-28, INC members also held a mass demonstration at Padre Faura – obstructing traffic and affecting operations of the Department of Justice, the University of the Philippines Manila and the Philippine General Hospital, among others. Today is already the third day of INC mass demonstrations in Metro Manila and no official higher than the INC spokesperson has come out to explain to the public why. Based on the application for a permit to rally filed by Bro. Erano Codera at the Manila City Hall, the plan is to hold more demonstrations until Sept. 4. Ka Eduardo, as executive minister of INC, you have a moral obligation to the nation to give a frank and honest explanation for these mass demonstrations. These cannot start, continue and end without your knowledge and consent. Perhaps after you speak, civil authorities led by President BS Aquino, DILG Secretary Mar Roxas, PNP Chief Ricardo Marquez, MMDA Chairman Francis Tolentino and concerned mayors would finally end their inaction over the paralysis at EDSA. Ka Eduardo, with all due respect, is this about the complaint filed by Isaias Samson and others? The filing of a complaint is a legal recourse available to any aggrieved Filipino citizen, regardless of faith, and the government is duty-bound to act on it. We ask you to use your moral power to enjoin those who may be summoned by authorities to cooperate in the legal processes. Let the accusers and the accused face themselves, answer the charges and defend their innocence in a process that everyone would help make sure would be open, fair, free and without fear or favor. We need not belong to the same faith to hold on to a universal belief: The truth shall set the innocent free. Ka Eduardo, please come out and tell us if there is anyone or any party trying to take advantage of the complaint to either get concessions from the INC or to unduly influence the INC’s voting preferences, ahead of the 2016 elections. Ka Eduardo, we respect the right of all citizens to free expression, free assembly and religious freedom. Our national heroes, whose memory we commemorate this weekend, fought for these rights. We ask you to honor these same rights for everyone else. Ka Eduardo, please come out and dispel the rising fears that the INC demonstrations are meant to pressure the premature dismissal of a pending complaint. Please come out and ask church members to respect journalists, critics and other citizens – and to not make threats or engage in any act of violence. Please come out and call on your church members to help authorities restore the free flow of persons and vehicles at EDSA. Please come out and tell the nation your side of the story – because your silence has only given way to misinterpretations and prejudgments against the undeclared objectives of the demonstrations and even the beliefs and public record of your church. Let me close by saying: We may not share the same faith, but we share one nation and one citizenship. Whatever our differences, we are all Filipinos. Ka Eduardo, please come out, show moral leadership and put your trust in fellow Filipinos. We are eager to hear your side, and to see you directly lead your flock as the presiding minister of a mature and responsible 101-year old church rooted in a country we all share. Thank you for writing this request for clarification from Ka Eduardo. Sana sagutin ng lider nila ng maayos, mapagkumbaba at mahinahon ang open letter nato. Ako man di ako sang ayon sa sagutan,pataasan ng pride at talino,name-calling o bullying na nangyayari b/n others and INC. kasi hindi tama. Di ba nga dumating si Pope Francis at karamihan sa atin ay emotional and felt blessed? Di dapat mawala yung goodness in all of us. Mr Tonyo Cruz, your open letter is a laudable initiative!